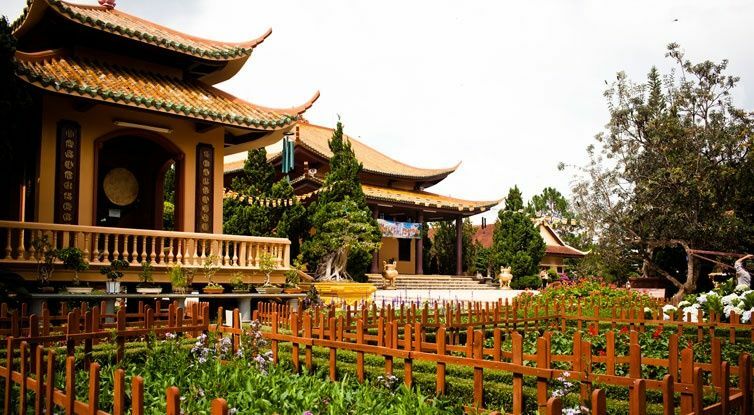 From Dalat city, driving along Trieu Viet Vuong St., passing Bao Dai’s Summer Palace, going ahead to a new road, visitors will place their feet on a holly magnificent land- Truc Lam Zen Monastery. 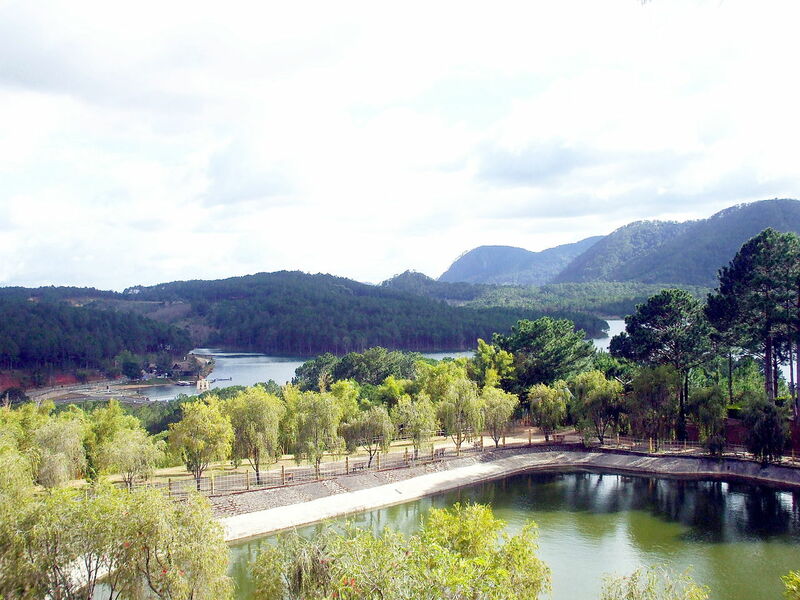 To Dalat tourism visitors will wallow in the natural settings in Valley of Love, Sigh Lake, or walking alone on the patches to Bao Dai’s Summer Palace, or watch glows of sunset in the sky on Lang Biang Mountain. Moreover, visitor cannot miss Truc Lam Zen Monastery, where they might feel peace in mind, “leave this world of dust”, and eliminate the city’s busywork. 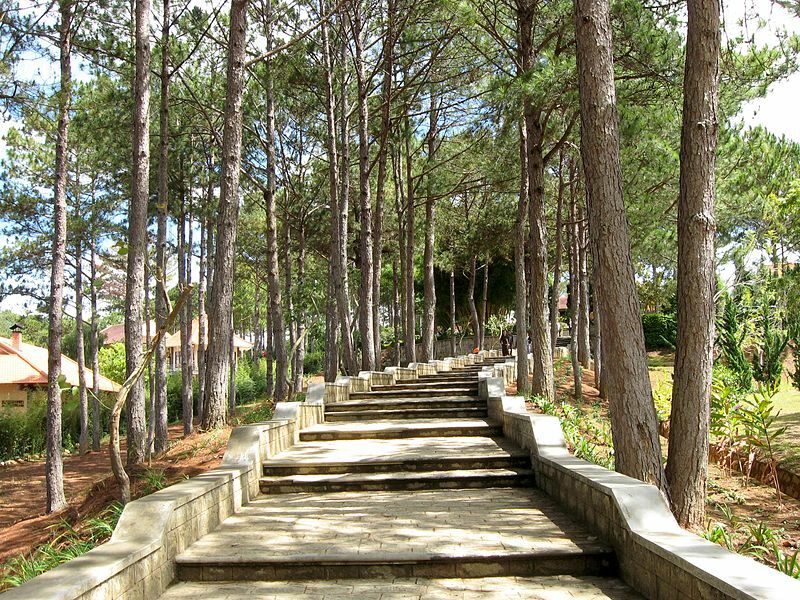 On the way to Tuyen Lam Lake, visitors have to follow a zigzag mountain path to Phoenix Summit, where Truc Lam Zen Monastery, which is far 5km from Dalat city, stands superbly in such an open poetic natural environment. It’s not only the biggest Zen Monastery but also the most popular tourist attractions to visitors nationwide and worldwide. Truc Lam Zen monastery with its advantage of location was designed as a new style of architecture by Mr. Ngo Viet Thu, who used to designed Independence Palace, today known as Unification Palace, Ho Chi Minh City. Besides, architecture Huynh Ngoc An was in charge of the design of the Sanctuary. The Sanctuary was built in rectangle shape to head south. Sanctuary surroundings are a lot of traditional Vietnamese pagodas and the monastery was designed modernly. It is simple in its form but modern in structure and use. 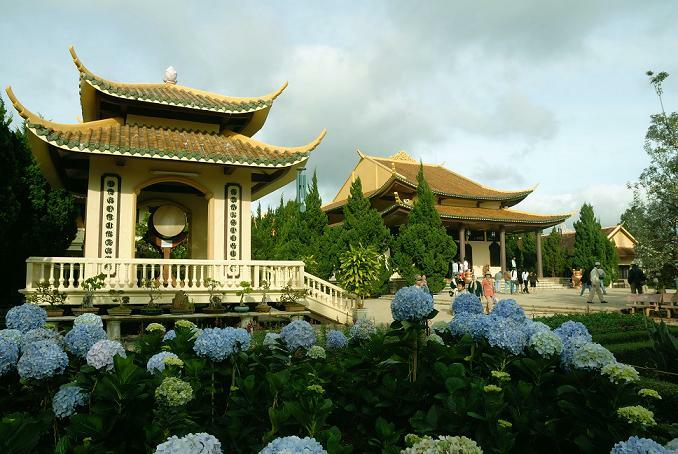 The pagoda, designed with the oriental architecture style, built in 1993-1994 by superior Buddhist monk Thich Thanh Tu, was divided into 4 main areas. 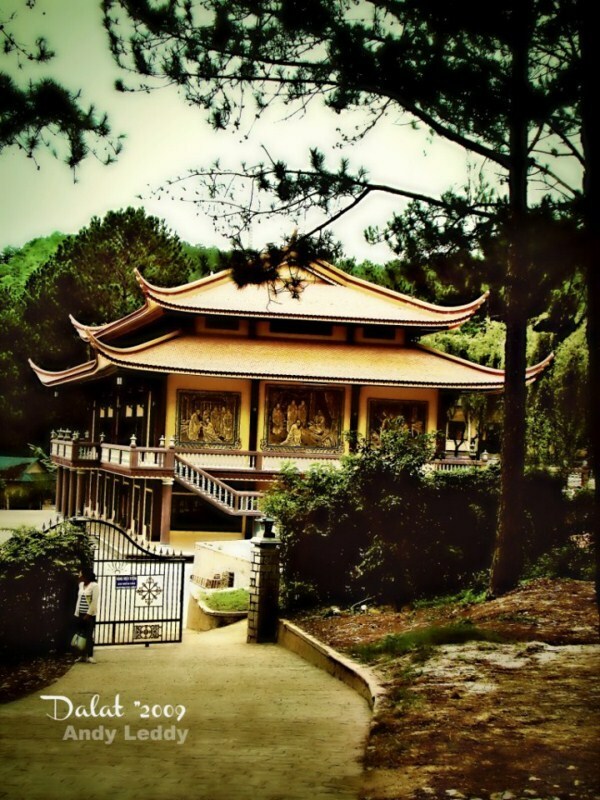 With the beautiful landscapes, the pagoda is not only a meditative place but also an ideal visiting place. 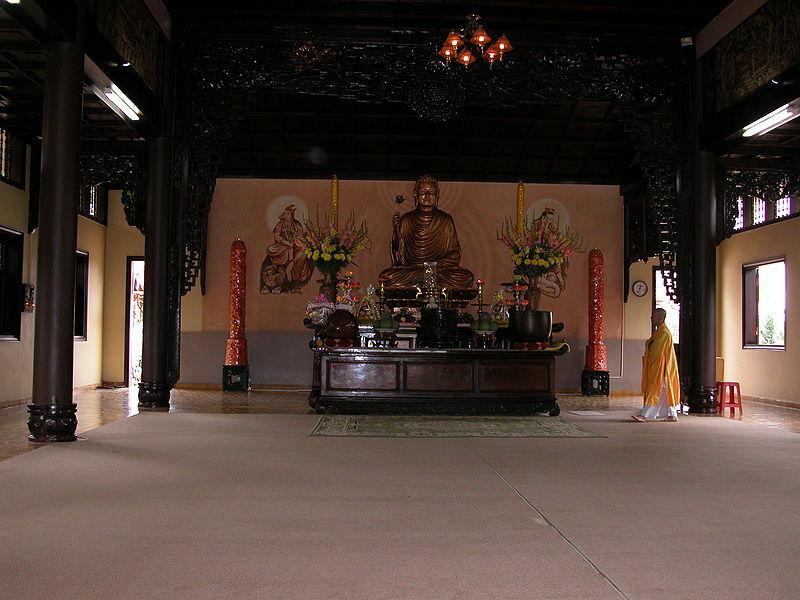 The main area of 192m2 is decorated simply but meaningfully of the Buddha. The 2-metter Buddha statue of Guru Shakyamuni stood in the center of the shrine; his right hand holding lotus flower is called Shakyamuni “United States Minor” – that means the statue’s image was built based on “Lotus Minor”. The front corridor is four round timber columns and ceilings are covered with shiny glazed tiles imbuing Vietnamese people’s humility or the elegance of meditation. In the busiest time there are thousands of monks and nuns, and Buddhists attending to learn meditation in the Monastery. 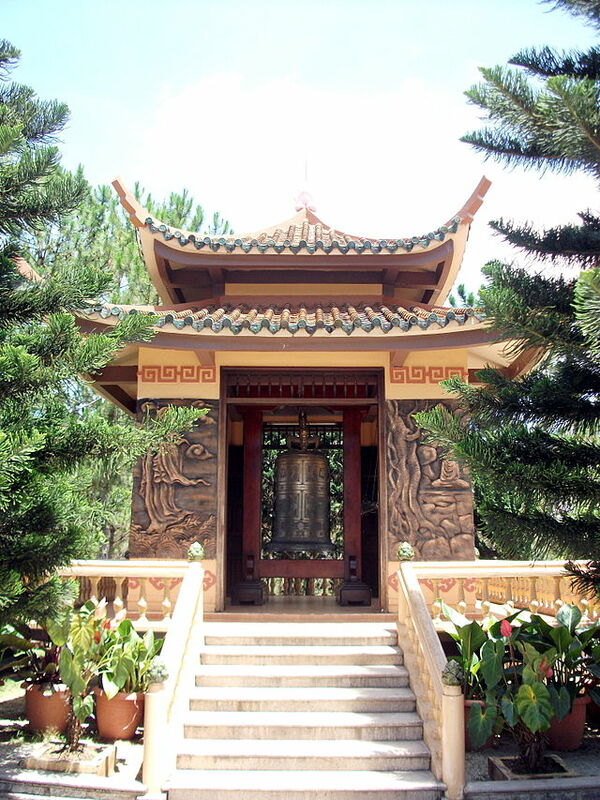 This is the biggest meditation on Zen Institute in Vietnam today to restore Vietnam Zen (found in the Tran dynasty). Each day from 3:00 a.m., the monks meditate three times, 2 hours/ each time; and they sit on 2 main areas of activity in meditation. 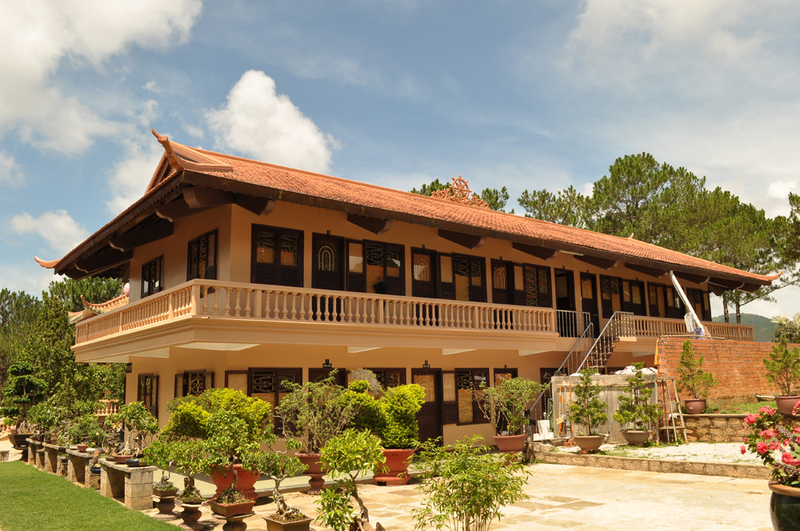 Visiting Truc Lam Zen Monastery, guests will be deep in air purification of the Zen place, visitors also stroll around the temple to contemplate what to give and what to receive. 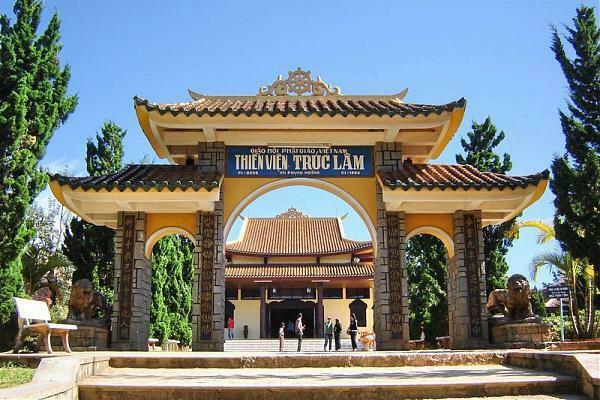 Visit Truc Lam Zen Monastery in the quietness of hills and mountains, tourist are free from everyday worries and seem to be able regain them in the greatness of the nature.